From Chinese to Japanese, Thai to Vietnamese and everything else in between, Perth is home to some absolute beauties in the Asian eats department. Here’s your ultimate Asian eats bucket list for you to work through for the next forever. You can thank us later! BBQ pork buns, dumplings, spring rolls and spicy chicken are all must-try dishes at Miss Chow's. Expect a modern twist on classic Chinese food. Three Sisters dishes up traditional Vietnamese eats like beef pho, rice vermicelli noodle bowls, delicious rice paper rolls and some of the most amazing banh mi we’ve had the pleasure of tasting. Tucked into Beaux Lane, Miss Potz’ rendang sliders and soft-shell crab papaya salad are legit. Some of the best Asian eats in Perth, plus it's BYO! 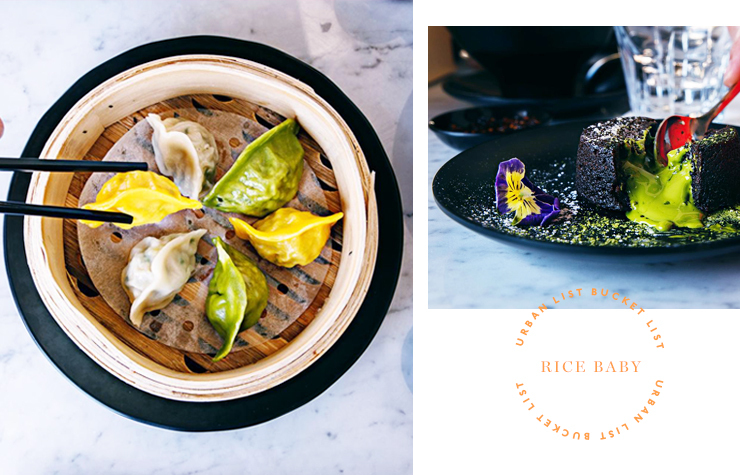 Sister restaurant to Miss Chow’s, Rice Baby is all about the bao and dumplings, and the matcha lava cake is a MUST! Obviously go to The Ramen Lab for big bowls of brothy goodness, but be sure to get a bao or two while you’re there. Trust us, they’re amazing! For seriously good sushi and Japanese eats, Bonsai has got you covered. Top tip: order the teriyaki chicken sushi with guac! A delicious share menu which spans Chinese, Thai, Vietnamese, Korean and Singaporean cuisines, Low Key Chow House is a must try for all Asian aficionados. Neho Asian Tapas is a treat for the senses and for the funny bone. Order everything, including the dessert trio, because YOLO. Some of the best Dim Sum in Perth, expect to line up on weekends when visiting Canton Bay on Roe Street. Don't worry, it's worth the wait. Nao’s Japanese noodle soups (made with handmade noodles) are incredible. Get some of these in your life, stat. 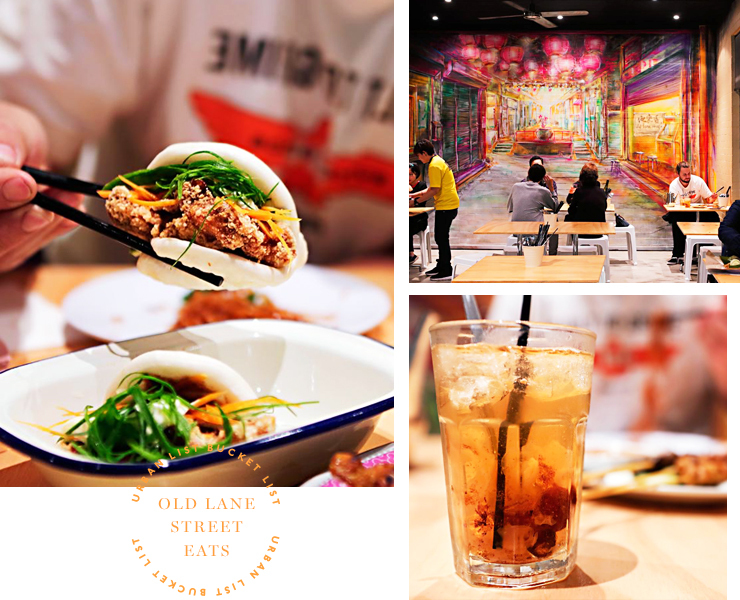 Deliciously affordable South East Asian cuisine, Old Lane Street Eats is tucked into China Town in Northbridge. We love the Roti John (a chilli-cheeseburger-tasting bun filled with beef, egg, onion, sambal, Sriracha and kewpie mayo). Easily some of the best Malaysian eats in Perth, it’s no surprise Ria Malay Kitchen is always booked out. Order some lotus chips to kick things off and then try and stop yourself from ordering everything on the menu. Hipster Asian eateries don’t come much cooler than Lucky Chan’s. The ramen and bao are glorious, as are the cocktails. Yes, Nobu is pricey, but it’s totally worth splashing out for at least once in your life. Definitely order the soft shell crab and mochi balls for dessert! Little sister to Low Key Chow House, you can expect eats that are just as delicious at Dainty Dowager. With a menu that focuses on Chinese BBQ, the char sui pork is a must. Modern and intimate Thai restaurant, Six Senses is a real winner. The massaman lamb shank is amazing. Ramen fans know to head to Perth Japanese eatery Dosukoi at the Fremantle markets for bowls of liquid gold. Good ramen is pretty hard to come by in Perth so Dosukoi has gained a cult following among the Japanese food gurus about town. Bangkok Brothers is serving up all your usual Thai suspects from delish green curry to perfect papaya salad and everything in between. They’ve also got some amazing looking desserts like the Coconut Sticky Rice with Mango (drool) and they do coffee and a few breakfast dishes too. If Korean eats are your jam, you're going to want to head to Restaurant Gangnam. Serving incredible Korean goodies like bibimbap and fried chicken, we go crazy for their beef jap chae (sweet potato glass noodles with bulgogi), as well as the cheese bul dak, which tastes a lot like a BBQ chicken pizza without the base. Chin’s is one of Leeming’s best-kept secrets. Go for the dim sum and expect it to be very busy on the weekends. Get your Vietnamese rice noodle bowls here, folks. Plus, banh mi and spicy pho. Yummo! If you spot a long line outside a restaurant in Northbridge, it’s probably outside of Authentic Bites. This place is a cult favourite for dumplings, check it out now! Top notch sushi for the meat eaters, vegos and vegans alike. And because we are the former, the bacon sushi is a must try at Aisuru. The food and atmosphere reign supreme at Kitsch in Leederville. Sit under the huge frangipani tree adorned with lanterns and chow down on flavoursome South East Asian-style eats that are designed for sharing. With a massive selection of sake, an impressive wine list and delicious share plates, Tsunami is a must try for Japanese fans in Perth. A winning pad Thai, crispy pork belly, soft chell crab and delicious cocktails, Wok St Chow House is a go-to for South East Asian eats in Perth. 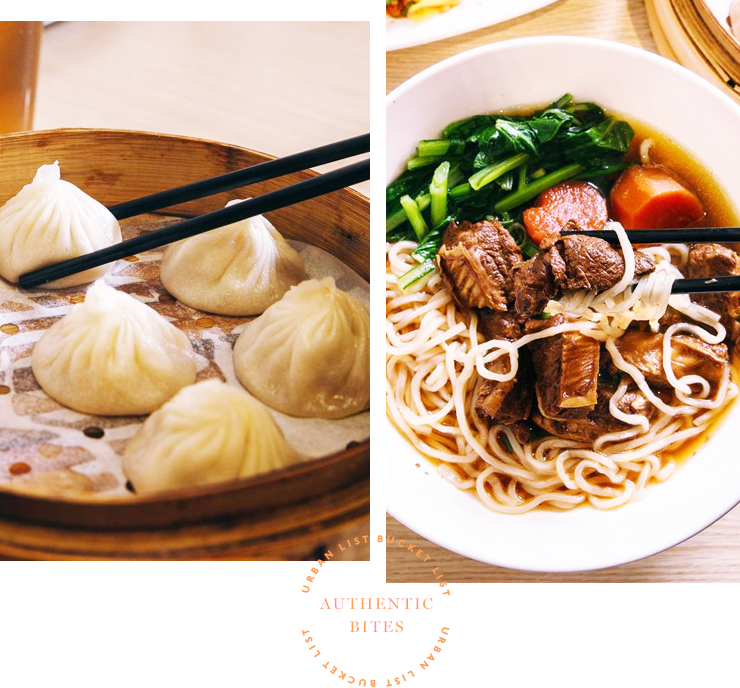 Open for lunch and dinner, the menu at Apple Daily is designed to share and we recommend going with a big group so you can try everything, especially the ribs. One of Perth's best Korean BBQ joints, Tong 86 looks quite unassuming from the outside, but once you get to tasting what's on the menu you'll be impressed. The kimchi pancake is delicious! Expect delicious Thai eats like cumin and corriander beef skewers, garlic and pepper squid, roast duck with pickled ginger and crunchy pork with hoisin chilli sauces at Perth fave Thai joint, Long Chim. Definitely get the banana roti for dessert. Housed in the Freo markets, What The Bao dishes out tasty buns filled with Japanese panko chicken, soft shell crab and duck. The Red Chair in Subi is one of Perth’s hidden gems. The laksa is the bomb.com and the rice vermicelli noodle salads are pretty dang good too! After a warm reception from the Sydney crowd, Sushia Izakaya made its way to Brookfield Place, bringing with it some of the best Japanese fine dining around. If you enjoy DIY meals, you'll love Pepper Lunch in Beaux Lane. Serving tasty Japanese fare which you cook on a piping hot 260 degree teppan at your table—our favourites have to be the signature beef pepper rice and the salmon pepper rice. While everything on the menu at Nasi Lemak is good, the stars of the show are the roti canai and the tender, spicy beef rendang. Take note: these guys only make their roti on the weekends. For more, search The Directory!